Jersey Shore: Family Vacation star Mike “The Situation” Sorrentino has had an eventful couple of years. In April 2017, the star was charged with falsifying records and tax evasion. This stemmed from his failure to pay income taxes on 8.9 million in earnings between 2010 to 2012. Getting into tax trouble is a mistake that several reality stars make. Case in point– Real Housewives of New Jersey’s Joe Giudice and his wife Teresa Giudice. What is going on in New Jersey? Congratulations are in order for Snooki and her husband Jionni LaValle! The couple has a baby on the way! They are already the parents to son Lorenzo and their daughter Giovanna. 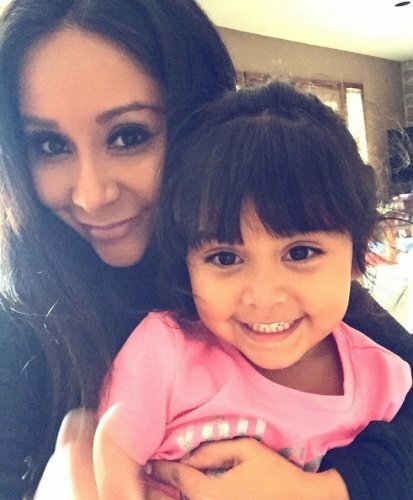 Jersey Shore Family Vacation viewers saw Snooki take a pregnancy test- before heading out to the bar- during a recent episode. She was not pregnant at the time, something she was admittedly upset about. Now, she just has happy news to share and she received a lot of support from her Jersey Shore co-stars. 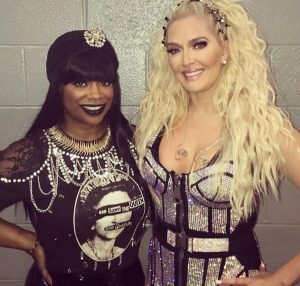 Thanksgiving Instagram Roundup- Teresa Giudice, Marlo Hampton, JWOWW, Lala Kent, & More! It’s safe to assume that pretty much anyone reading this is thankful for reality television. This gratitude is probably applicable to reality TV Instagram posts as well. A lot of your favorite reality TV stars shared photos from their Thanksgiving celebrations and charity work. Vanderpump Rules cast member Lala Kent and her man Randall Emmett gave out turkeys to those in need. New Jersey Housewives Teresa Giudice and Dolores Catania gave out turkeys in their local community as well. Real Housewives of Atlanta cast member Marlo Hampton volunteered at the Women’s Community Kitchen. RELATED: Instagram Roundup: Vicki Gunvalson, Sandy Yawn, Nicole Nafziger, Andy Cohen, & More! There are some reality TV Thanksgiving gatherings that I wish were filmed. First and foremost, Vanderpump Rules stars Jax Taylor, Stassi Schroeder, Brittany Cartwright, and Stassi’s man Beau Clark all spent Thanksgiving together. Stassi even joked on Instagram, “Why weren’t the cameras here?” Seriously though. That is a great question. Exes hanging out and actually being friends will forever fascinate me. 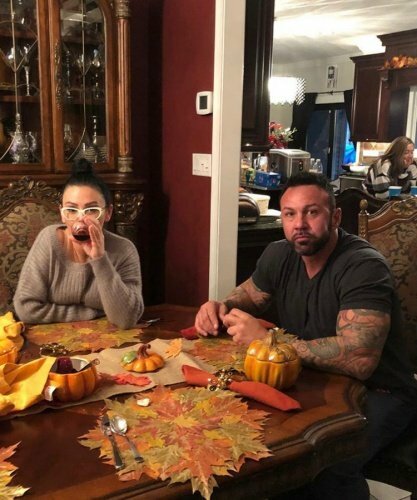 Speaking of exes, JWOWW and her ex Roger Mathews spent time with family on Thanksgiving. What is going on with the two of them? Are they just keeping it cordial for the sake of the kids? Are they repairing their romantic relationship? Either way, there were no smiles in the Instagram posts. Southern Charm stars Kathryn Dennis shared a photo on Thanksgiving with her costar Austen Kroll. Who knew these two were such close friends? Southern Charm matriarch Patricia Altschul shared a picture from her Thanksgiving girls night out. Meanwhile Shep Rose spent some quality time with his mom and dad. Don’t Be Tardy stars Brielle Biermann and Ariana Biermann posed for a sisters photo on Thanksgiving. Check out all of those photos and more from the Thanksgiving Instagram Roundup by clicking through the photo gallery below. TELL US- WHAT DO YOU THINK ABOUT THE PHOTOS FROM THE THANKSGIVING INSTAGRAM ROUNDUP? WHICH PHOTO FROM THE INSTAGRAM ROUNDUP IS YOUR FAVORITE? On last night’s episode of Jersey Shore: Family Vacation, we leave off exactly where we were last week — with Vinny Guadagnino talking to Angelina Pivarnick, who’s annoying Vinny, who’s screaming at Angelina to stop talking to him — MAKE.IT.STOP. It’s hilarious that Angelina tells Vinny that he is obsessed with her. Play the tape back. Angelina needs to see how many times you have Vinny on your mind. 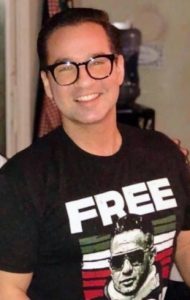 You need to attend Vinny Guadagnino Anonymous and get on a seven-step program to get over him — or just get under him, or someone else, like maybe your fiance Chris? Hopefully, we’re past the Angelina/Vinny conversational plot points. After they all go to bed, Vinny gets up and says he must’ve had a nightmare about Angelina yelling at him in his face. “Wait, that was real,” he said. Jersey Shore Family Vacation Recap: Staten Island Smackdown! In tonight’s episode of Jersey Shore Family Vacation, we continue where last week’s drunk broccoli-throwing Nicole “Snooki” Polizzi left off. Ronnie Ortiz-Magro is excited about being back in the Jersey Shore area. In the meantime, drunk Snooki is smacking around Angelina Pivarnick and they play fight in the limo. When did Jenni ‘JWoww’ Farley become the mature one?